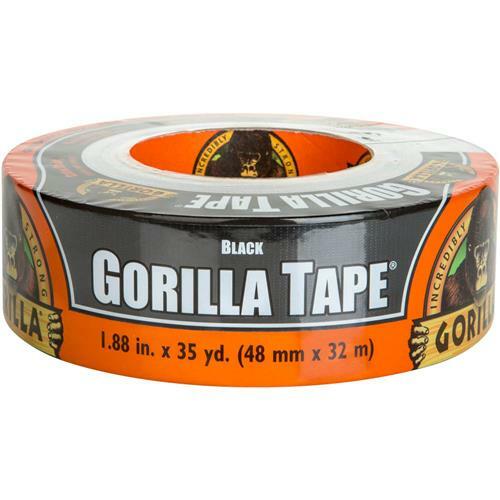 Gorilla Glue 6035120 - Gorilla Tape, 35 yd. Gorilla Tough now on a roll. Bonds to things ordinary tapes can't, including brick, stucco, wood and more. Made with double thick adhesive, strong reinforced backing, and a tough all-weather shell. It's the biggest, strongest thing to ever happen to tape. The thick adhesive provides a stronger bond as it fills the gaps, especially in porous surfaces. The reinforced backing makes the tape strong, but can still be ripped by hand. The black outer shell is extra tough, helping create a barrier against harsh elements and resistance to abrasion; and forms a moisture resistant barrier. It can even be used in place of electrical tape. 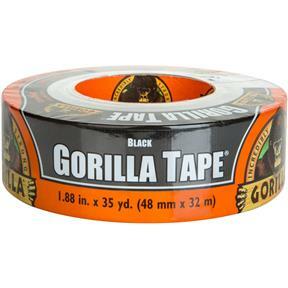 Roll is 1.88 inches x 35 yards long and features a 17 mils thick adhesive.